At this years VR Days over 140 thought leaders and experts will reveal how XR solutions will transform business, healthcare and the arts. 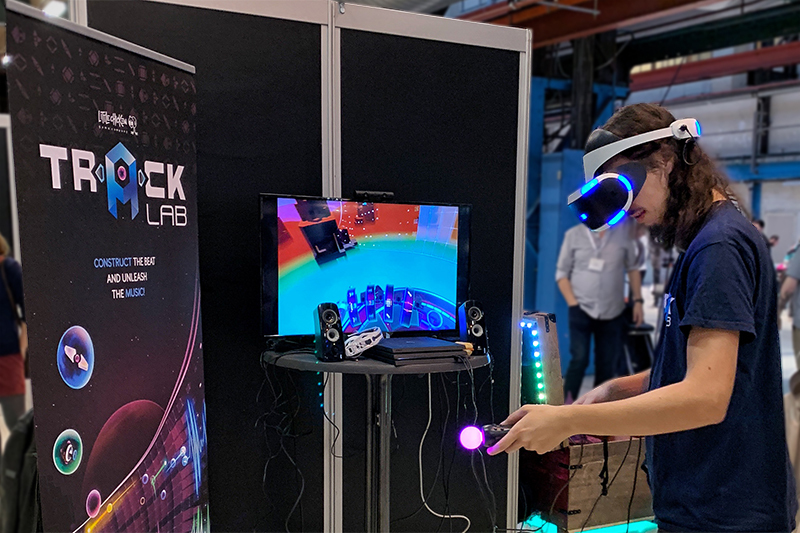 Our CEO Yannis Bolman & Developer Joran de Raaff, will give a talk about our latest PSVR project Track Lab. Our CEO, Yannis Bolman, will give a talk about making music in VR. A talk diving into the development of Track Lab, a PSVR title published by Sony. In this post mortem we’ll have an extensive look at designing a music creation tool for VR. We talk about the many design decisions that the team had to tackle during the production of Track Lab and how we optimized, tested and learned to tweak the UX until it clicked! Find us at the VR Days! Find our stand at the Kromhouthal Amsterdam on 25-26 October in the main exhibition hall. The talk of Yannis & Joran will take place on friday at 10.00 o’clock in the “Dansmakers Cube Room”. Please send us an email (info@littlechicken.nl) if you would like to set-up a meeting at the VR Days.